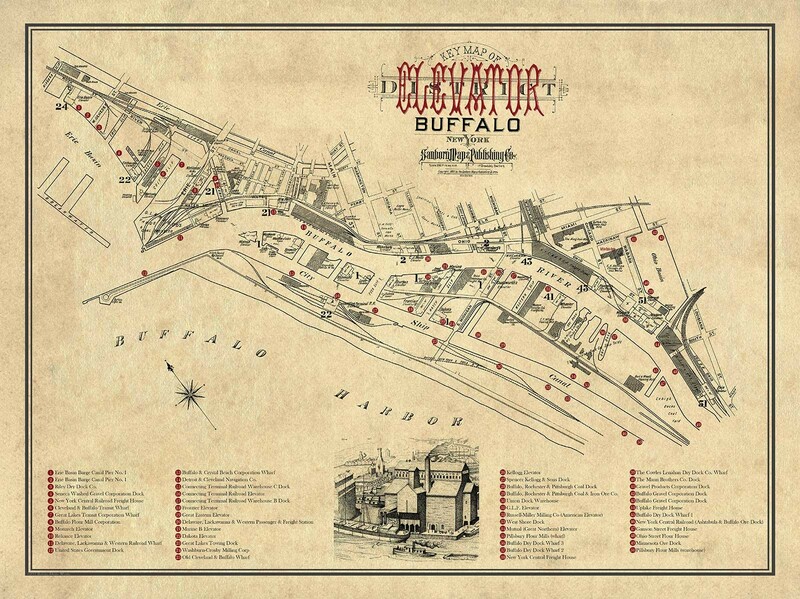 This is a re-designed version of the Sanborn 1890 Key Map of the Buffalo Elevator District. We have redesigned the map from scratch, and also included a listing of the elevators that we're listed on the map. While it is not a complete listing, we will continue to improve upon this until we have all the Grain Elevators listed that existed in Buffalo.